Our Sales Team Why AHR? Atlantic Home Realty, L.C. has 4 licensed agents who will give you great personal and courteous service. Each realtor belongs to the Iowa and the National Association of Realtors, which adhere to a strict “Code of Ethics”. The Code of Ethics for the National Association of Realtors is the promise to the public ensuring that when dealing with an actual realtor, the customer can expect honest and ethical treatment in all transaction related matters. Only REALTORS pledge to abide by the Association’s Code of Ethics. Each realtor is also a member of the local board, the West Central Iowa Board of Realtors. The staff at AHR are involved in many things throughout the Atlantic area. Please give us a call if you would like more information on any organizations or others throughout the area. 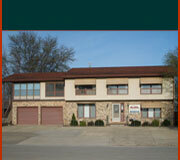 Call us at 712-243-1300. We are glad to forward you any information that will better help you in your search for a new home. "Mark YOUR home SOLD with Atlantic Home Realty, L.C." ******** "BUY with confidence through Atlantic Home Realty, L.C." Ask for QUALITY - Ask to work with Debbie or Denise.